The Auditorium is located partly at street level, partly below ground, and can seat an audience of 136. The facility offers fixed seating in the form of folding chairs and tables. The Auditorium can be entered via the Tegeltjeshal. 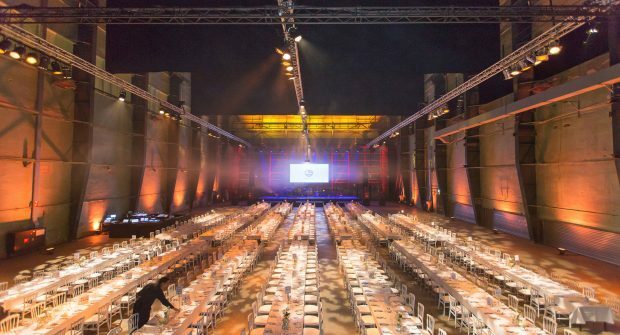 The space is fitted with modern audio-visual equipment and has been decorated with interesting photo murals that evoke RDM’s rich history – with images of the launch of the SS Rotterdam and the interior of the shipyard’s Machine Hall.